15 Minutes Outside – 365 Ways to Get Out of the House and Connect with your Kids by Rebecca P. Cohen is a new lifestyle book focused around what would happen if you and your kids got outside everyday. Author Rebecca asked herself that question and found that this simple concept has huge rewards. Seems easy enough to get outside right? The reality is that children are spending 30 hours a week in front of a screen and clocking only 4 to 7 of the 60 recommended minutes of daily unstructured playtime outside. Since 1 in 3 children are obese – this concept can be life changing. 15 Minutes Outside is much more than a book chock full of ways to spend time outside with your children each day, it’s a book that can have profound effects on the health, happiness and the well-being of your family. The 365 ways outlined in this book can also have a larger impact on your family than just adding more quality time together. Unstructured playtime improves concentration, focus, cooperation, lessens aggressive tendencies and wards off heart disease and diabetes in both children and adults. 15 Minutes Outside gives parents the tools that they need to take the lead – to get a dose of vitamin D, fun, and exercise outside with your family. 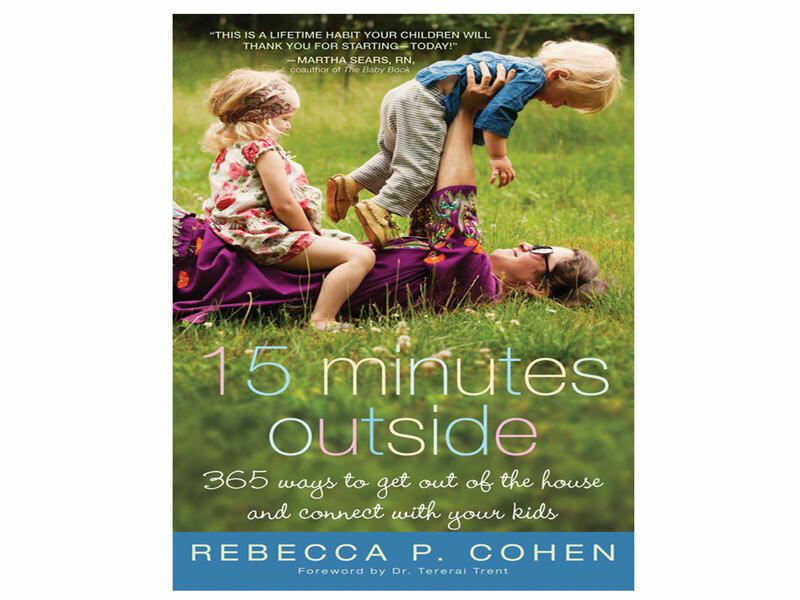 15 Minutes Outside - 365 Ways to Get Out of the House and Connect with your Kids by Rebecca P. Cohen is a new lifestyle book focused around what would happen if you and your kids got outside everyday. Author Rebecca asked herself that question and found that this simple concept has huge rewards.�Seems easy enough to get outside right? The reality is that children are spending 30 hours a week in front of a screen and clocking only 4 to 7 of the 60 recommended minutes of daily unstructured playtime outside.�Since 1 in 3 children are obese -�this concept can be life changing. 15 Minutes Outside is much more than a book chock full of ways to spend time outside with your children each day, it's a book that can have profound effects on the health, happiness and the well-being of your family.